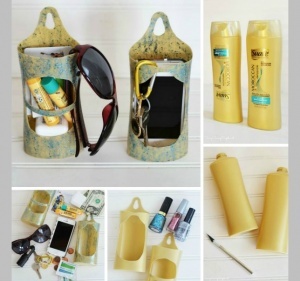 What To Do With Old Shampoo Bottles? 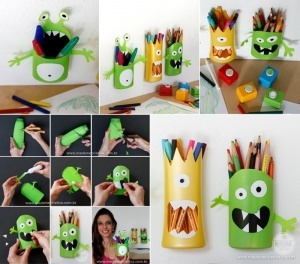 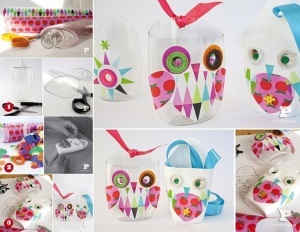 Madame Criativa Blog has shared a cute project of making shampoo bottle monster organizers for your kids’ pencils and pens. 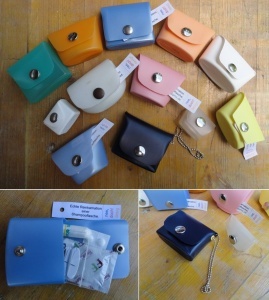 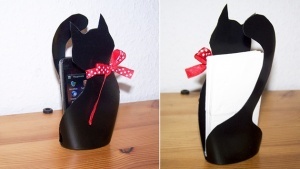 Rolf at We Upcycle has shared a way of using the bottom part of a shampoo bottle as a small purse that can store coins, medicines, earphones and more. 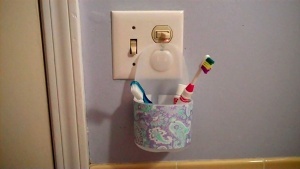 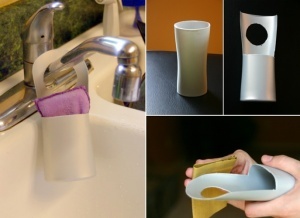 Bonnie at Crafting A Green World has shared a really ingenious and clever way to store the sponge of your kitchen sink on a faucet by cutting a shampoo bottle in the way shown. 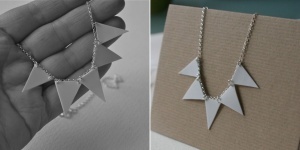 Wimwom Handmade Blog has shared a way of cutting a shampoo bottle plastic into triangles and then joining them to a chain with jump rings to become a cool necklace. 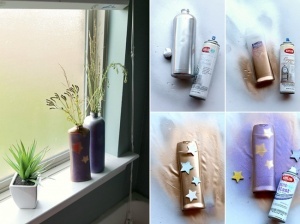 Trisha at Mom Dot has spray painted empty shampoo bottles and then she has turned them into these wonderful vases. 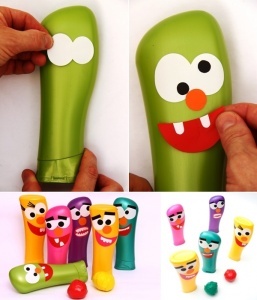 Estadao has shared a way of making monsters of shampoo bottles and using them as bowling pin targets with balls made of play dough. 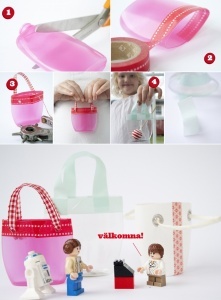 It can be a great indoor activity for kids. 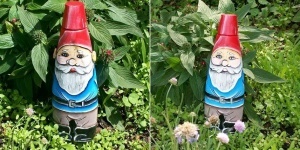 angie83 a user at Garden Web has shared a garden gnome she has created by painting an old shampoo bottle. 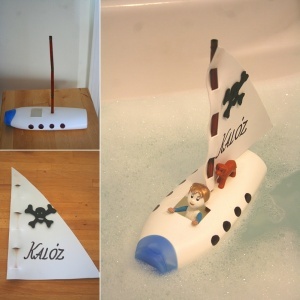 Karen at Krafty Krook has shared her creation of some truly wonderful sea inspired pen holders made from shampoo bottles, old CDs and other embellishments. 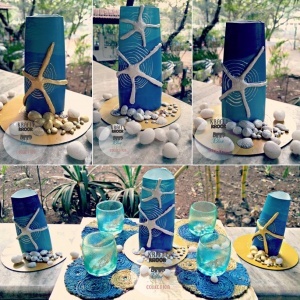 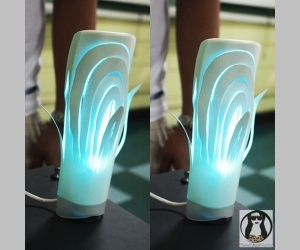 They can make a wonderful addition to a home office where you want to add a hint of a coastal feel. 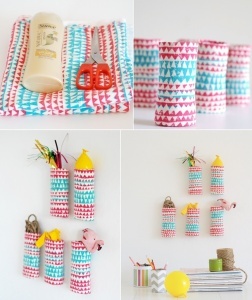 Victoria at A Subtle Revelry wrapped old shampoo bottles in a funky printed fabric and then she fixed them on a wall to become craft caddies.